"Four friends based in Nashville - revered acoustic musicians - coming together to explore and break the boundaries of what string bands normally do. Their music is high-energy roots Americana, flavored in tradition, with a mix of old-time, blues and bluegrass. They at once pay tribute to the early sounds that influenced them, while simultaneously creating their own unique brand of modern Stringband music." 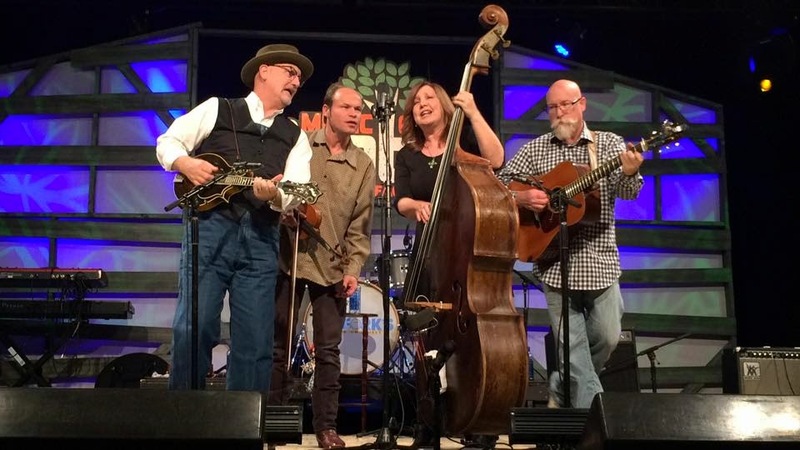 When these four friends are multi-IBMA Award winning Missy Raines, Mike Compton, David Grier and Shad Cobb then it's clear that Helen Highwater are a string band that you will not want to miss. Helen Highwater will be doing a small number of concerts, one in Denmark and the others in the UK, before Missy Raines, Mike Compton and David Grier make their way to the 20th Sore Fingers Week (6th to 10th April) where they will be amongst the tutors. At the time of writing, Mike's mandolin class is fully booked but there are still places in Missy and David's classes. Personal note: if you have never been to Sore Fingers, you should give it a try. A week in the Oxfordshire countryside playing music and with masterclasses from the likes of Missy, Mike and David as well as very inclusive classes for musicians of more modest abilities (such as my own). Oh... and it lives up to it's name - you will go home with sore (but very happy) fingers. Pay a visit to the Sore Fingers website. But let's get back to Helen Highwater.. They were recording their first album as Helen Highwater in January but there is no need to wait for that CD to become available. On the 29th March they will be in Denmark and holding individual workshops during the afternoon with a concert in the evening (details below). They then travel across to the UK for some more shows before Sore Fingers. (bass). DKr 500 per person. Show Time: TBD; Ticket Prices: £15.00 Adv. As was said before, do not miss the opportunity to see Helen Highwater - keep an eye on their Facebook page for any updates.